Maximum Carage is a fourteen part series that spans over five different Spider-Man titles. 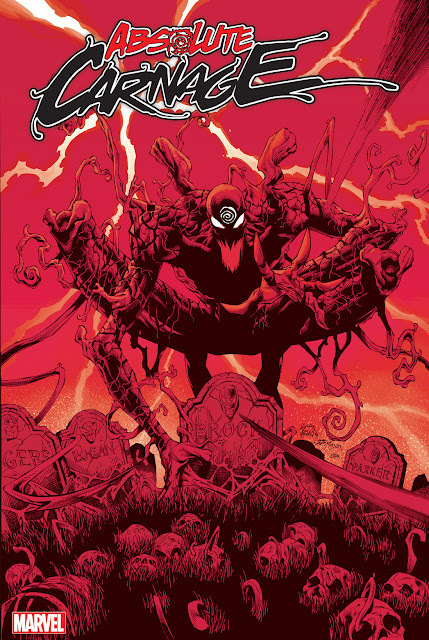 The series starts with Carnage escaping from Ravencroft Asylum. After his escape, Carnage recruits members for his team, including Shriek, Doppelganger, Demogoblin, and Carrion, to terrorize New York City. Venom and Spider-Man joined forces and created their own team, includig Captain America, Black Cat, Nightwatch, Clock and Dagger, Iron Fist, Deathlok, Morbius, and Firstar, to stop Carnage. The series ends with a final showdown of Venom and Spider-Man defeating Carnage. This storyline also inspired a 1994 video game for Super Nintendo and Sega Genesis.